Fierce, daring attitude that just got darker and meaner. Meet the Speed Triple R Dark; a limited edition roadster for tearing apart the streets, whether it's the daily commute or a weekend blast. 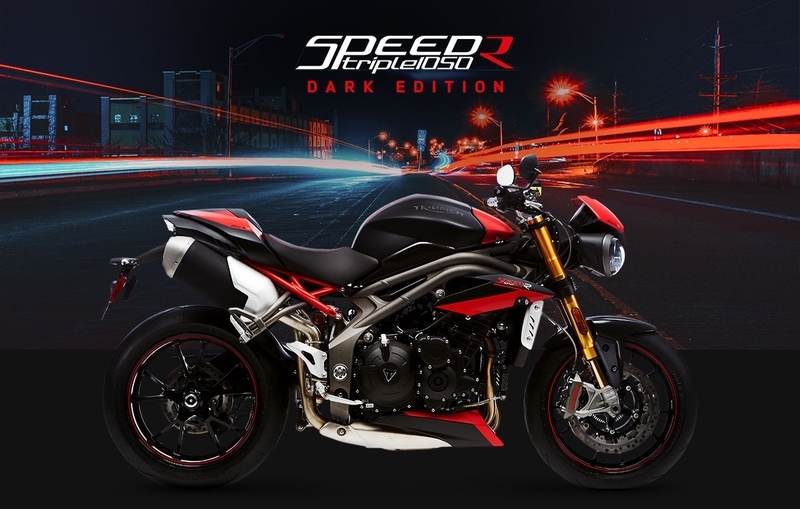 Limited to just 50 models, you'll have to be quick to grab one - just like the Speed Triple intends. 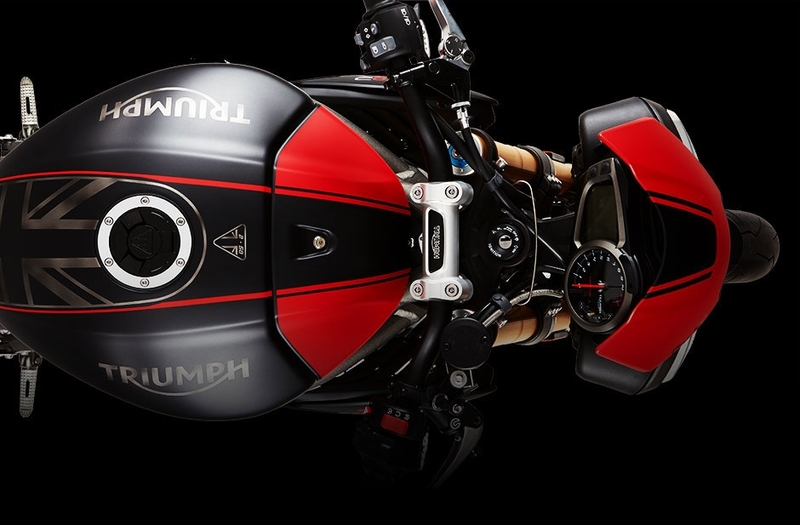 A custom look for the Speed Triple accentuating its seductive curves with a smooth matte black paint finish, accented by a deep red and finished with a signature union flag on the tank. Still the adrenaline pumping performance that you'd expect from the Speed Triple, with a unique approach to the styling. 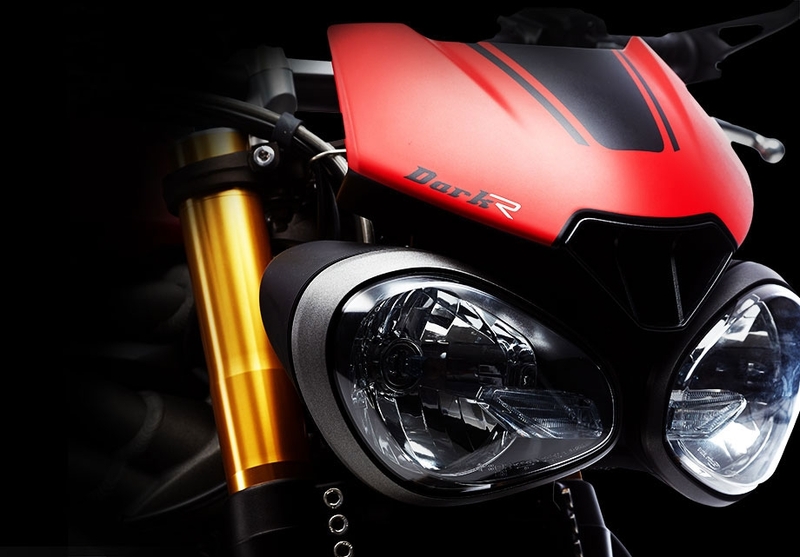 Dark R. Truly intimidating as you unleash the full potential and power of the roaring 1050cc triple engine, balanced by a nimble and dexterous chassis, designed to get the best out of bike and rider. And to keep that performance within your control, 4-piston Brembo brakes up front and Ohlins forks and shocks throughout. A bike that performs as well as it looks.